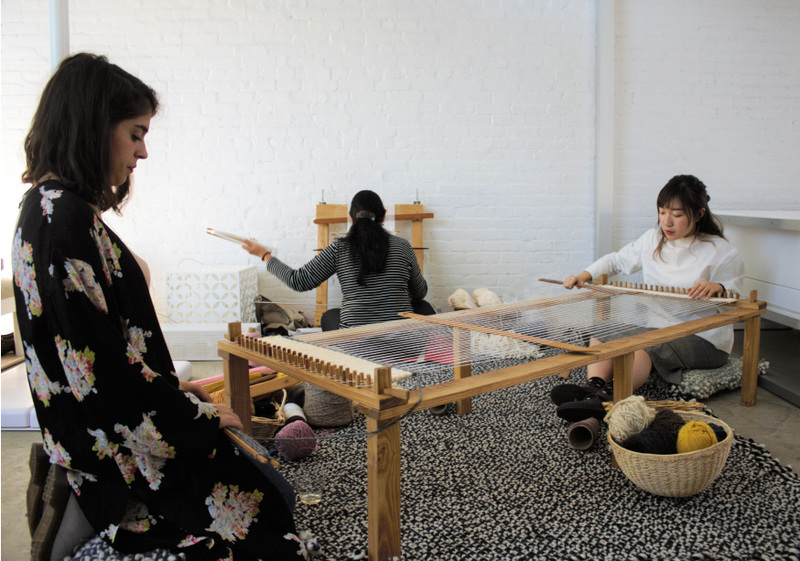 Weaving Hand works with corporations to specifically tailor workshops to suit their needs. We offer weaving techniques of all different levels on the Table Top Loom, Floor Loom, Tapestry Loom, Tibetan Rug Loom, Back Strap Loom and our custom Peg Table Loom. Workshops can be observational and/or participatory. Historically weaving was done ceremoniously within tight knit communities. 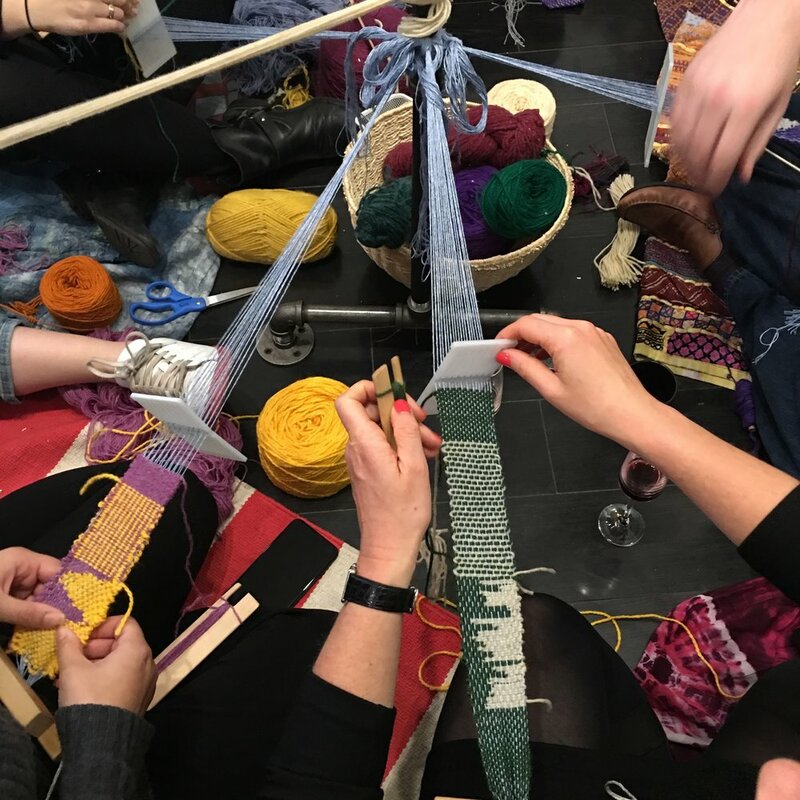 Weaving Workshops are an opportunity for team building and enrichment in the areas of textiles and design. We can host in our studio or come to you. Call 718.855.5666 or email info@weavinghand.com to learn more.